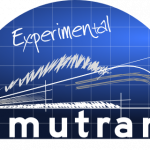 ﻿﻿﻿The 10.7 version ﻿﻿of Simutrans Experimental has been recently released. This is a minor new release, with several bug fixes like crash in some cases when a schedule is changed, players can no longer delete ways owned by the public player, errors in the calculation of loading times and some more. You can download it from the International Simutrans Forum.